a teacher training system where everyone wins! 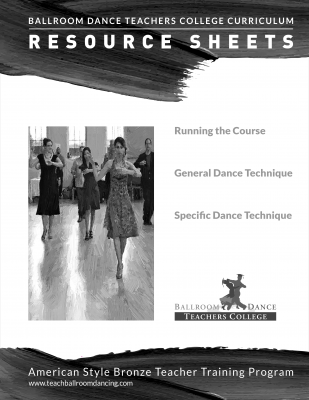 The Ballroom Dance Teachers College Curriculum (BDTC Curriculum) is a proven system with everything needed to run a successful, for-profit teacher training program. It is a complete package with lesson plans, textbooks, media and administrative resources. The genius of the Curriculum is that you can run this tuition-based program similar to other professional career schools (i.e. cosmetology, yoga teacher training, law school, etc). There is no prerequisite for trainees other than the desire to make dance their career, and you are not obligated to hire the graduates. However, when you do hire a graduate, you will know they are true professionals who have achieved a high standard of excellence. This program is a win, win, win! Your studio will be staffed for life with fantastic teachers who your students love. You’ll be giving aspiring teachers the education they need to have the career of their dreams. And you’ll make money while doing it. Click here to see how your studio can profit from running your own Teacher Training Program. Become the teacher of your dreams! The Lesson Plans of the Curriculum are available in smaller sections (“Mini Kits”) and are affordably priced. 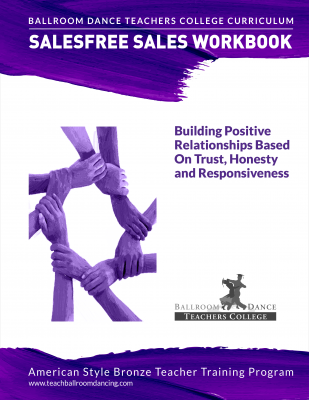 Dancers: This Curriculum provides valuable information for motivated dancers who learn well from written resources. Acquiring the same information that dance teachers have will help fill in the gaps in your learning, giving you more details to see the “big picture” of what it means to be a good ballroom dancer. This 300- hour course is based on the nationally-recognized DVIDA® Syllabus and covers 17 dances in the American Style Smooth, Rhythm and Nightclub dances. There are 128 detailed lesson plans with innovative exercises and homework assignments, as well as routines, written tests and exam assignments. The Business Kit portion of the Curriculum supports the program by providing administrative guidelines, marketing materials, course templates and forms, exam day materials, study sheets, samples of supportive feedback and supplemental textbooks. 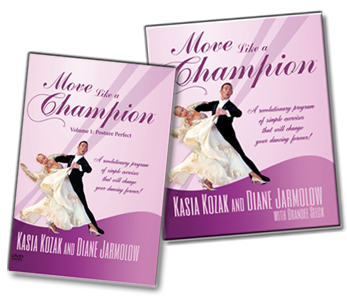 The BDTC Curriculum represents the culmination of Diane Jarmolow’s 40 years in the ballroom dance industry. 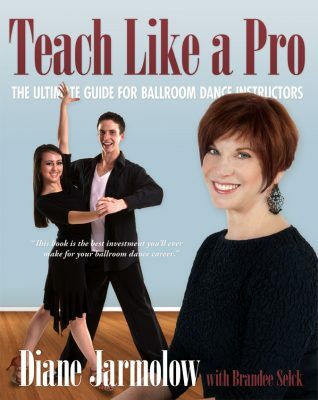 Diane founded the renowned Metronome Ballroom and the Ballroom Dance Teachers College, is a National Examiner for DVIDA®, a DanceSport Adjudicator, author of Teach Like a Pro and co-author of Move Like a Champion, created and revised numerous DVIDA® manuals and developed the professional testing system for DVIDA®. 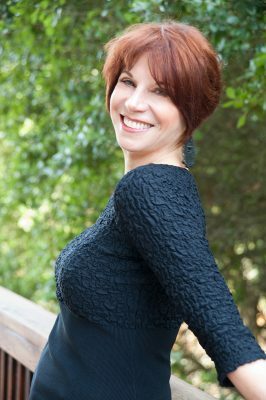 You may also know her from the Dance Vision Dance Camps where she led studio management seminars and ran the “Get Certified!” programs. Still, Diane feels this is her greatest accomplishment to date — the development of the Ballroom Dance Teachers College Curriculum. The Curriculum is based on a 16-month rotating perpetual schedule. There are four sections, each 4 months long. They can be taught in any order and trainees may enroll at the beginning of any section. This means you will continue to gain new trainees even as other trainees graduate. A sample schedule is below. We recommend that classes be held twice a week, in the evenings, to allow working people to attend. You may also choose to run two Sections at a time (four classes per week) – i.e. Smooth and Rhythm 1. This allows trainees to complete the course more quickly. For those who are highly motivated, a 4-month intensive course is possible. Details are included in the Business Kit of the Curriculum. You will be surprised how many people come out of the woodwork once this course becomes available at your school. Because you already have a marketing strategy for your studio, it is easy to add this program to your social media, web and print advertising. 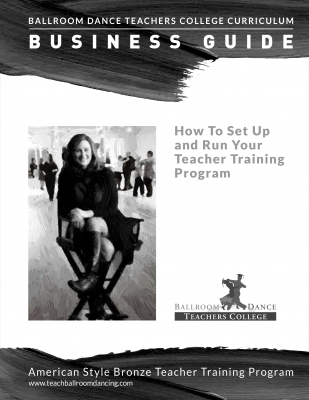 The Business Guide (part of the Business Kit) includes an entire chapter on how to market the course, and you will also receive a marketing brochure template and enrollment PowerPoint to use in enrolling trainees. It’s as easy as 5-6-7-8! Don’t have a qualified Master Teacher to teach the course? We offer customized training and professional development (via video conference or in-person) on how to use the Curriculum effectively. If professional certification is required, we help with that, too. The Curriculum covers all aspects related to becoming proficient and well-educated in teaching ballroom dance. Over the 16-month course, trainees learn how to dance and teach 17 dances based on the DVIDA® Bronze American Style Syllabus (Smooth, Rhythm and Nightclub dances). They will learn both the Leader’s and Follower’s parts, the technical and musical elements of each figure, and everything else they need to know in order to be successful. Graduates of the program are ready to teach with no additional training required! The Business Kit contains the required materials you will need to run and teach the course effectively, including marketing and scheduling guidelines, “how to teach” resources and exercises, a host of course forms and templates, exam materials and much more. Combined, the seventeen Master Teacher Manuals contain 128 lesson plans! 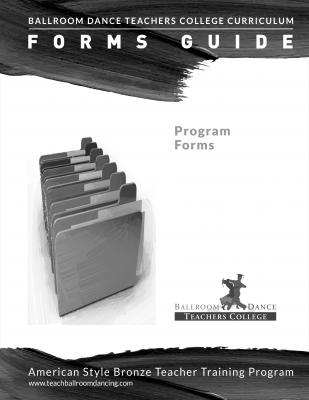 Each manual covers half the syllabus for two dances. For example, Rumba|Cha Cha_Part 1 covers the first half of the Bronze syllabus (figures 1-7). 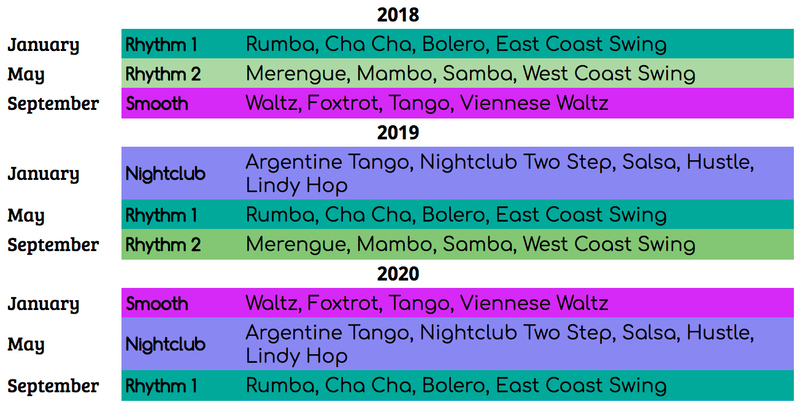 And Rumba|Cha Cha_Part 2 covers the second half of the Bronze syllabus (figures 8-15). The Argentine Tango manual includes the entire Bronze syllabus. Click here to read testimonials about the BDTC Curriculum. 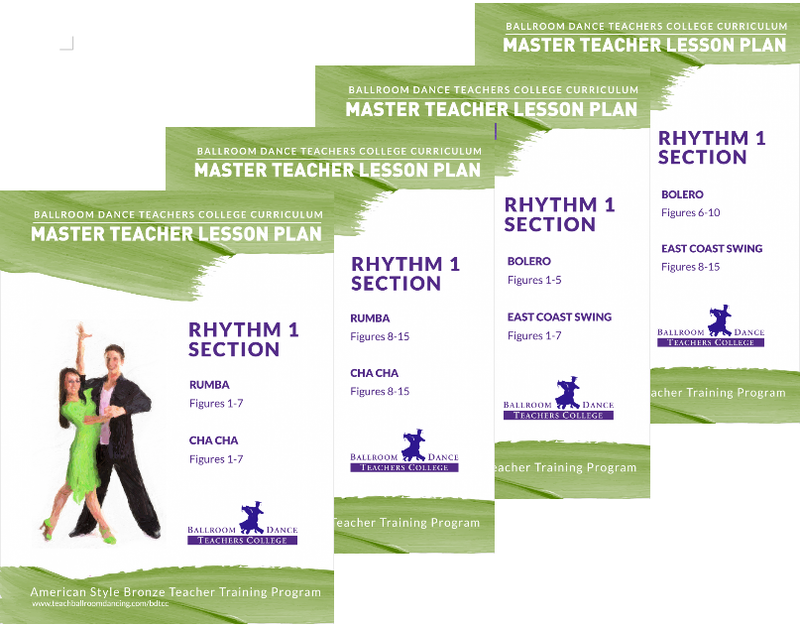 Section Kits | $549 ($649 Nightclub): include the Master Teacher Manuals (Lesson Plans) for either Smooth, Rhythm 1, Rhythm 2 or Nightclub sections, and corresponding written tests and answer sheets, exam assignments and routines. 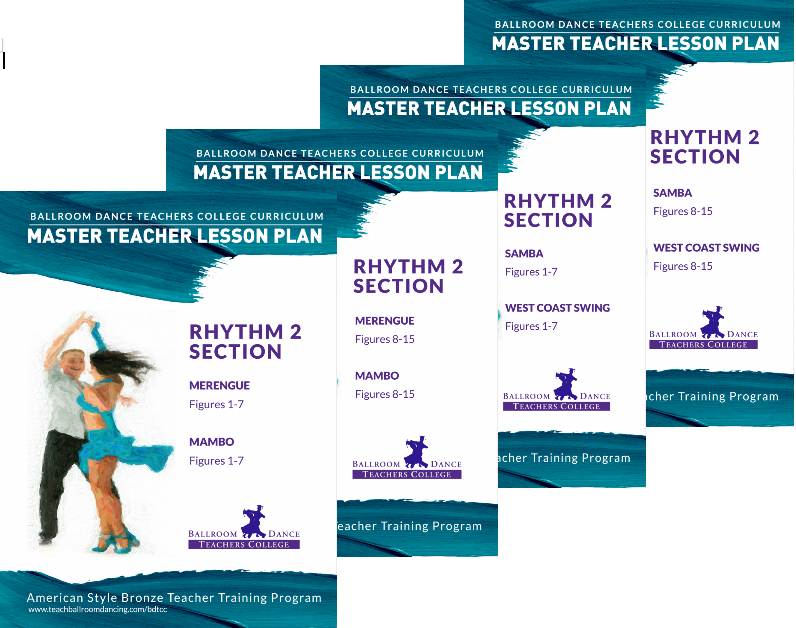 Mini Kits | $149: include a Two-dance Master Teacher Manual (7-8 lesson plans) and corresponding written test and answer sheet, exam assignments and routines. Business Kit | $695: includes the Business Guide, Resource Sheets, Forms Guide, Trainee Handbook, Teach Like a Pro textbook, Move Like a Champion textbook and DVD, Salesfree Sales Audio program, marketing materials, exam day materials, trainee forms, general class forms and two 45-minute consultations with Diane Jarmolow. To purchase any of the Curriculum options click on the link below. If you have any questions about the Curriculum please contact us.